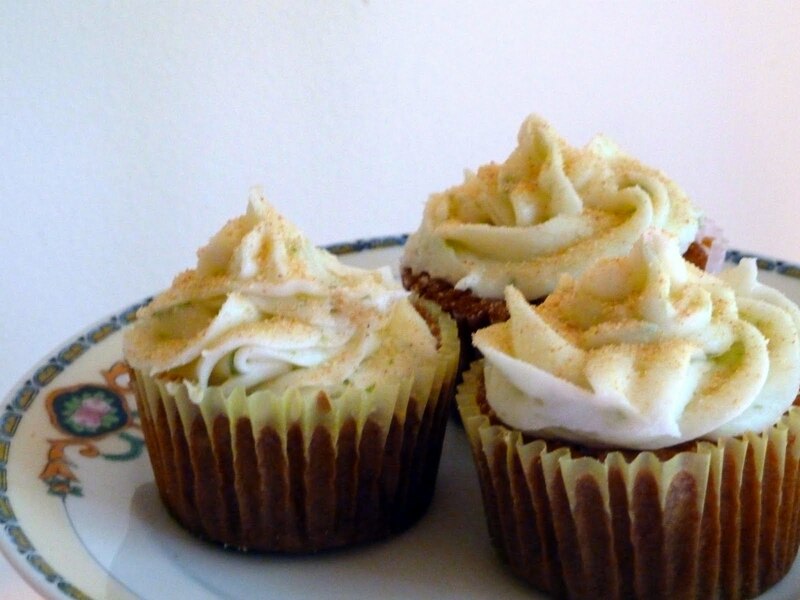 I am finally posting the Key Lime Cupcake recipe from Cherise's shower. These cupcakes have a smooth graham cracker batter with the cool. creamy Key Lime filling marbled into the graham cracker batter, so your cupcake will look like the when baked. 4. Use the food processor or potato masher, or rolling pin to grind the graham cracker crumbs into tiny crumbs and powder. 11. Fill cupcake liners 1/2 full with graham cracker batter. Spoon about 1 T of key lime filling on top of graham batter and swirl with a knife. 2. Beat in powdered sugar and Key Lime juice, and zest, until desired consistency. 3. 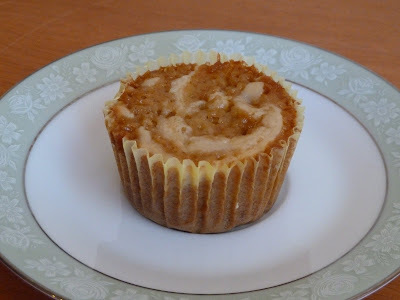 Frost cupcakes, and sprinkle graham cracker crumbs over the frosted cupcakes, and refrigerate, until serving time. ** Here is a tip for picking a ripe, juicy limes. The best limes have a shiny, smooth peel, and are soft, but they don't have to be completely green. 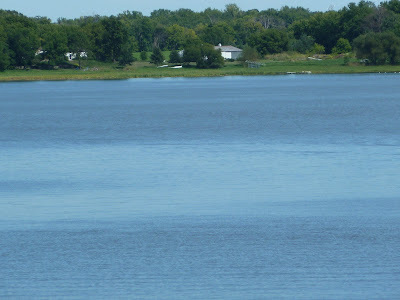 Now, I took a quick trip to Minnesota with my husband to see his son and family. We had a great time. On Saturday, we went to a lake party "up north" of St. Paul, complete with kids and dogs. 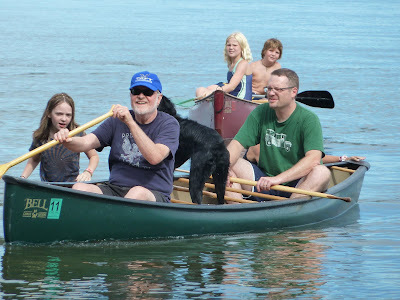 My husband, his son, rowing and Jasper the dog, ! 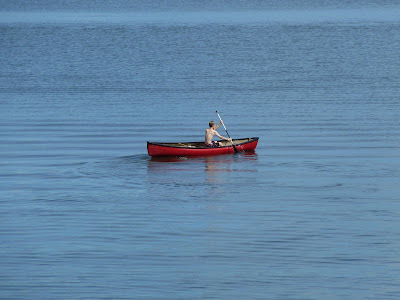 Eventually, everybody ended up in the canoe, even Jasper. hee hee! That dog in the canoe is cute! This is a really unique recipe in that the key lime filling is baked in to a graham cracker batter. Most key lime cupcakes just are cake that tastes like lime. Bookmarked this impressive recipe-yum! Beata- these cupcakes are delicious and bride-to-be approved! 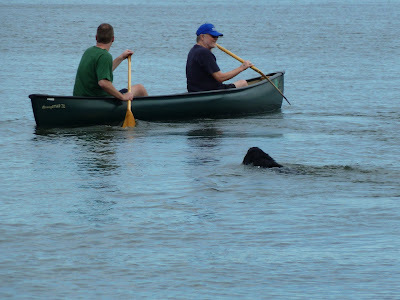 Katrina- There were about 7 dogs playing frisbee in the water. It was a a blast, just to watch them. Tina-Thank you for your kind words. These cupcakes are so good. What a treat! These look just amazing. I love the swirl of filling too. And your pictures of the water were just lovely. Thank you for taking the time to share yourself and your creativity with me. It brightens my day (and many others'). I hope you have a blessed evening, my friend! Monet- thank you for your kind words. I hope that your temps have cooled off. Megan-Thank you! These cupcakes are so good! What pretty cupcakes, Becky! I think these would be a huge hit at my house...pinning!! Oh, look at that wonderful key lime goodness! And cream cheese frosting? It's my favorite. You've hit on all the things I love in cake, Becky. looks soo good.. loved the family photos.. It looks like you had great weekend and those cupcakes look and sound so tasty!!! Love your key-lime cream frosting..yum!! !Thanks for sharing your photos!!! What a creative cupcake Becky! Wendy-Thank you for your sweet words. Yesim- These cupcakes are so good! Raven- Everybody did have a good time, and the kids and the dogs were the hits of the party, besides the food and beer. Sandra-Thank you for your wonderful comments. Tiffany- These are a different version of most Key Lime cupcakes, but soo good! Love the idea of graham cracker batter here, sounds wonderful with the key lime filling and frosting, yum! the graham cracker batter with the Key lime filling swirled make the cupcake unique and delicious! Sounds like you had a great time. I would love to have a cupcake or two. I still plan on posting about the 7 links. Sorry for the delay. 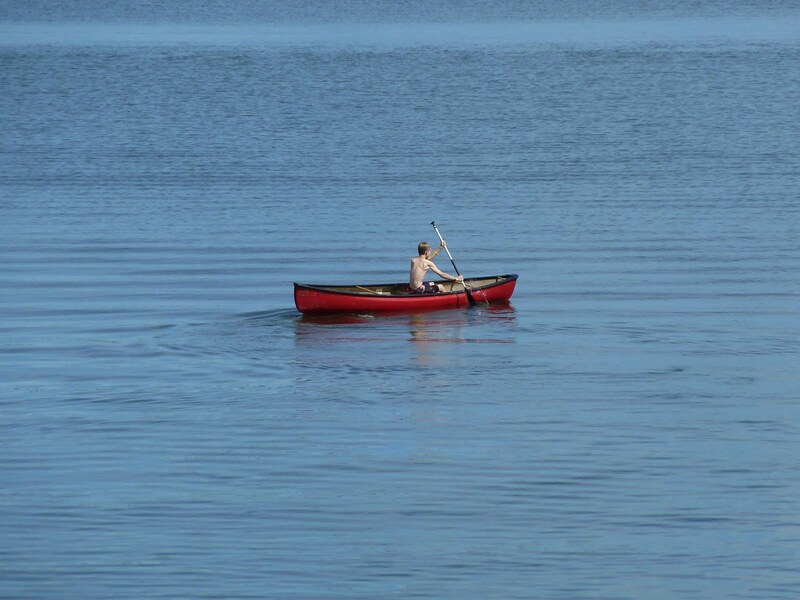 Love your cupcakes and your trip to the lake! 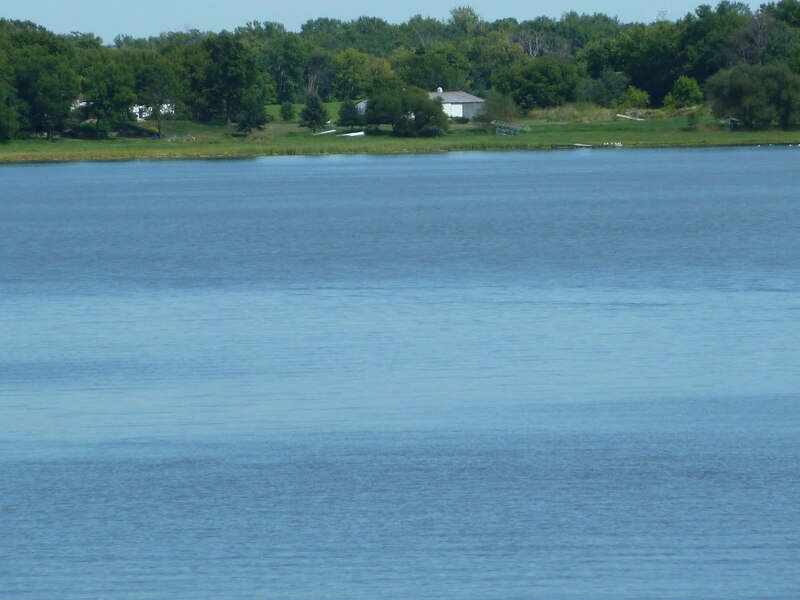 Brings back memories of when I visited my cousins in MN and they took me to a lake. Looks like a super fun day, and the cupcakes look delicious! Yum! I just bought some key limes!